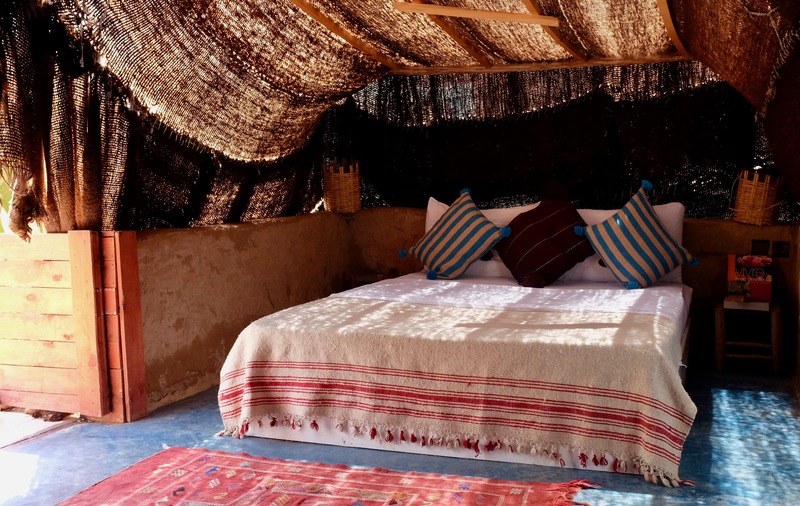 A traditional Berber tent made from fabric woven with camel and goat wool. 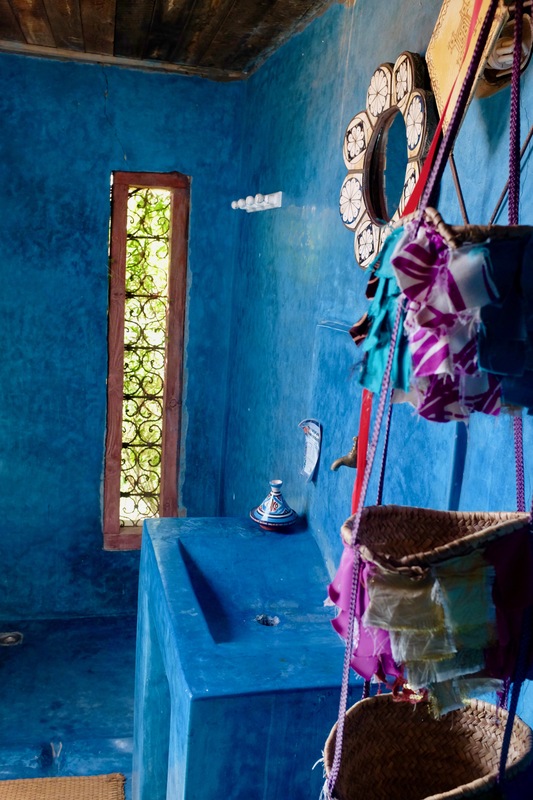 The bathroom attached is decorated with Tadelakt and has a large shower. There is a large double bed with comfortable mattress and a small living corner to gaze up into the light coming through the woven tent. 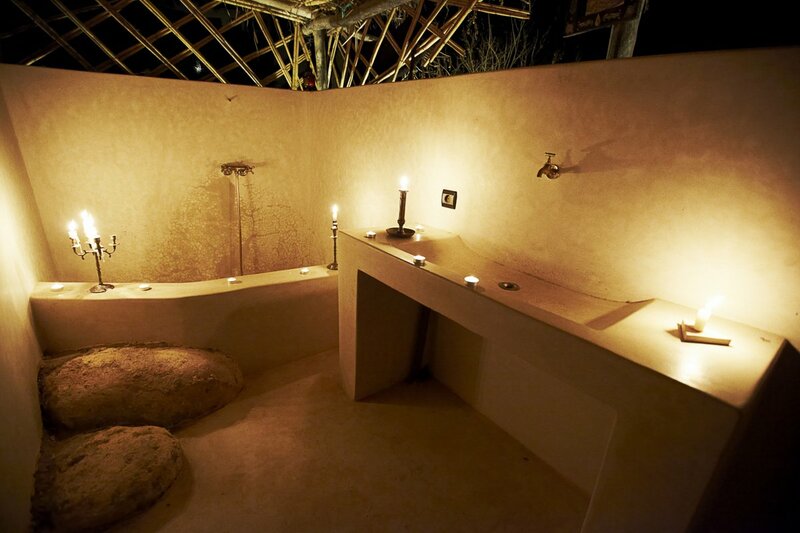 Our Berber tents have been constructed using a mix of traditional and sustainable building materials and methods. Each tent has it’s own personal charm and character and although essentially a tent with an open style of living, you can still have your comforts of a quality mattress and private bathroom with hot showers. 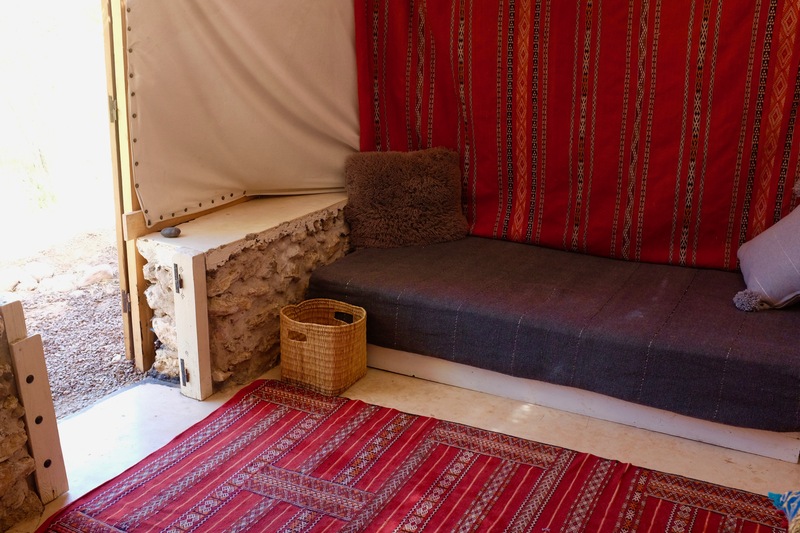 Come and experience a different style of accommodation; gaze at the stars through the tent’s woven fabric while listening to the sounds of the local night-life.